Here are some basic instructions on how to use and navigate our website. This shopping site works like every other online shopping site. You select your products, add them to your cart, check out, and then fill in your shipping and contact information, shipping method, and pay securely with your credit card, debit cards or with Paypal. This site features the latest security so you can shop and purchase products with confidence. At the very top of every page is the customer navigation bar in which you can create an account, check your account, view the contents of your shopping cart, and change the currency of the site. You can also make wish lists or purchase a gift certificate. Just click the links to go to the page you want. You Do Not have to sign up for an account to purchase any of our products. You can check out as a GUEST, and you will not have to create any account. Your order tracking options will be limited if you check out as a guest. The main navigation bar has links for our Contact Us, Shipping Information & Returns, About RCA, Help, Videos and Podcasts, Authorized Dealer Links, and out RSS information feed. If you have questions about your order, returns, lost packages, or soaring in general, click on the Contact Us link and fill out the secure e-mail for and submit it. We use Captcha security so you will have to type in the scrambled letters before the message can be sent to us. To browse our DVD and Digital Download collections, select one of the categories in the Select Products box on the left side of any web page. To purchase 2 or more DVDs or Digital Downloads, select the Discounted DVD Sets category or the Download Sets. After selecting a category, you can browse each DVD, DVD Set or Digital Download and Dowload Set. If you want to purchase an item, just click the red Add To Cart button at any time. The item will be added to your shopping cart and it will remain there until you check out. Items can be removed at check out time, or you can go to the top of any page and click View Cart to edit any items in your cart. When you click Add To Cart with any product, you will see a page with your cart contents. Here you can update the quantity, delete the item, or continue shopping for other items. When you are ready to check out, you can go to the top of any page and click View Cart to view your cart contents. If you have a coupon code or gift certificate, enter the codes in the fields at the right side of the page. Click on the red Proceed To Check Out button to finalize your purchase. NOTE: The ordering information is stored, so if you end up at the beginning of the check out process again, just keep going forward, your billing and shipping information will still be active, just you may have to click some selection buttons again. After clicking the Proceed To Check Out button, you will have the option of creating an account, logging in to your current account, or to check out as a GUEST. Click Continue after making your selection. Fill in your billing address for the credit card you are using. Make sure this information is correct, this information is used to insure the card you use matches this address for security. Items with a red asterisks are required fields. Click "I also want to ship to this address" button if the billing and shipping addresses are the same. Then click the Bill and Ship To This Address button to go to the next page. Next you select your shipping method which will vary by country, select the radio button with your First Class, International Air Mail, Priority Mail, or Express Mail selection. Click the Continue button. You will now be at the payment page. This page shows your order and shipping method. You can still edit the cart if needed by clicking View Cart. Select your payment method, Visa, Mastercard, AMEX or Discover. International and Debit cards are accepted. You can select Paypal as well. Click the Proceed To Payment button. Sales tax is only charged for residents of Pennsylvania who order DVDs. For card payments, fill in your card number, expiration date, and the security code which is found on your card. Make sure this information is correct, any mistake will make your card be declined. Click Pay For Order to complete your transaction. If you selected Paypal, you will be redirected to your Paypal login page. Login and confirm your payment to Radio Carbon Art. You will receive a confirmation e-mail for your payment and an e-mail when your items actually ship. Orders usually ship in 24-48 hours. For more information on shipping, go to this page: Shipping Information. Visit our Digital Download page for instructions on how to download our digital videos. You can go online and check your order status if you created an account. If you have any problems or questions trying to order, either use our contact page or give us a call at 888-834-2261, M-F, 10am to 5pm US eastern time. 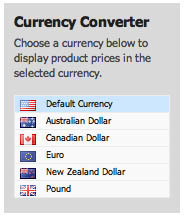 While browsing products, you can select different currencies for the Euro, Australian dollar, Canadian dollar, New Zealand dollar, and the U.K.'s pound sterling. All currencies will be converted by your credit card company or by Paypal to U.S. dollars.